There's no question. Beverly, Massachusetts commercial floors take a beating. No matter what your commercial flooring needs are, ScreenCoat Painting & Flooring LLC has a solution for you. We service a wide variety of commercial clients in Beverly, for flooring installation and refinishing, including corporate, industrial, warehouse, supermarket, healthcare, recreation, hospitality, education, fitness, and retail. ScreenCoat Painting & Flooring LLC has been in the commercial flooring business since 2001, serving the flooring needs of Beverly businesses. We are proud to offer green solutions and sustainable designs for both indoor and outdoor commercial spaces. ScreenCoat Painting & Flooring LLC understands the importance of long-lasting floors in Beverly, MA commercial properties, especially those that carry a high volume of traffic. ScreenCoat Painting & Flooring LLC offers a wide range of epoxy floors in just about any color, texture, and style to meet your needs. Epoxy floors are non-porous and act as a barrier to prevent dirt, grease or liquids from penetrating their surface. Spills are easily removed with common cleaning products, which helps keep your maintenance costs low. ScreenCoat Painting & Flooring LLC offers fast cure systems, high solids epoxies, waterborne epoxy vapor emission mitigation systems, and heavy wear thin-mil urethane coatings. ScreenCoat Painting & Flooring LLC also installs polished concrete floors in Beverly commercial properties. This is a popular alternative to other commercial flooring because it's less expensive to maintain and it's durable. 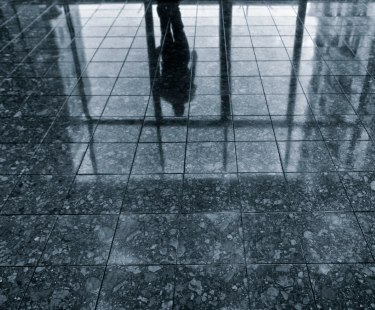 Polished concrete floors can be customized with artistic enhancements, like your business logo, name, or slogan. Choose from a wide variety of colors and levels of sheen. ScreenCoat Painting & Flooring LLC gets to work quickly to professionally install your commercial flooring in Beverly with minimal downtime to your business. ScreenCoat Painting & Flooring LLC ensures that the underlayment is ready to receive the commercial flooring application. Call (978) 216-2016 to schedule a Beverly commercial flooring site inspection and quote for your business. ScreenCoat Painting & Flooring LLC has been in the commercial flooring business, serving Beverly, Massachusetts customers for 18 years.